VIZ Media, LLC (VIZ Media), the largest publisher, distributor and licensor of manga and anime in North America, has announced the launch of the official NARUTO online store for the U.S. and Canada in partnership with digital marketing and eCommerce solutions provider, GENERATOR, a division of Sony DADC. The NARUTO online store at shop.naruto.com is a comprehensive one-stop-shop for an extensive and unique collection of official NARUTO merchandise including anime and manga products, apparel, games and other licensed products and collectibles inspired by the massively popular ninja action property. 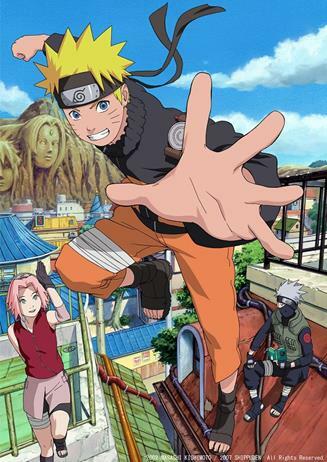 VIZ Media is the global master licensor for NARUTO and NARUTO SHIPPUDEN. In the NARUTO manga and animated series, Naruto Uzumaki wants to be the best ninja in the land. He’s done well so far, but Naruto knows he must train harder than ever and leaves his village for intense training that will push him to his limits. NARUTO SHIPPUDEN begins two and a half years later, when Naruto returns to find that everyone has been promoted up the ninja ranks – except him. Sakura’s a medic ninja, Gaara’s advanced to Kazekage, and Kakashi… well he remains the same. But pride isn’t necessarily becoming of a ninja, especially when Naruto realizes that Sasuke never returned from his search for Orochimaru. Plus, the mysterious Akatsuki organization is still an ever-present danger. As Naruto finds out more about the Akatsuki’s goals, he realizes that nothing in his universe is as it seems. Naruto is finding that he’s older, but will he also prove wiser and stronger? Headquartered in San Francisco, California, VIZ Media distributes, markets and licenses the best anime and manga titles direct from Japan. Owned by three of Japan’s largest manga and animation companies, Shueisha Inc., Shogakukan Inc., and Shogakukan-Shueisha Productions Co., Ltd., VIZ Media has the most extensive library of anime and manga for English speaking audiences in North America, the United Kingdom, Ireland and South Africa. With its popular digital manga anthology WEEKLY SHONEN JUMP and blockbuster properties like NARUTO, BLEACH and ONE PIECE, VIZ Media offers cutting-edge action, romance and family friendly properties for anime, manga, science fiction and fantasy fans of all ages. VIZ Media properties are available as graphic novels, DVDs, animated television series, feature films, downloadable and streaming video and a variety of consumer products. Learn more about VIZ Media, anime and manga at www.VIZ.com.